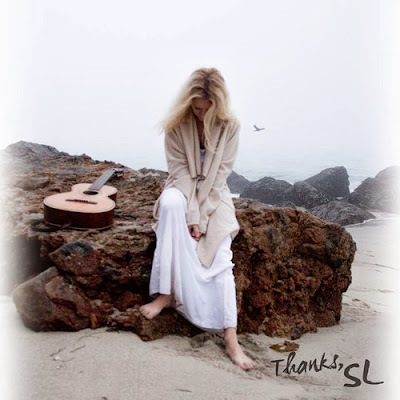 Perhaps most people first heard of Shelby Lynne when she won a Best New Artist Grammy® on the strength of her 2000 LP, My Name is Shelby Lynne, despite the singer/songwriter having already been a music veteran with five albums and over a decade of experience under her belt. Those who were more familiar with her music likely saw her in much the same light, though, namely that with her dusty yet resilient voice and a Southern drawl betraying her Alabama roots, Lynne bridged country, rhythm and blues, and rock ‘n’ roll with sweeping, soulful conviction. Such a perception rings true as well on her new EP, Thanks (EVERSO Records), as optimism, whether in the guise of spiritual fulfillment or personal contentment, seems to serve as the common thread of its five songs. With its laid-on-the-line candor the countrified title track is a particular highlight, while “Walkin’” is full of enough gospel fervor to make even the most awkward, arrhythmic agnostics clap along with the spirit of a Sunday morning congregation.